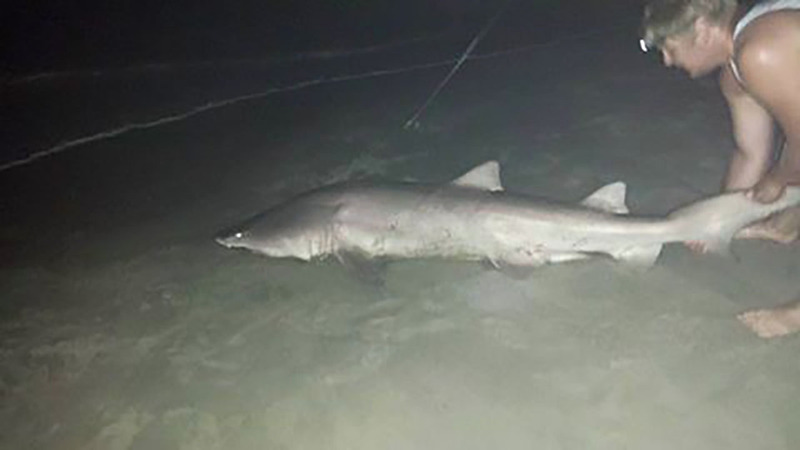 COROLLA, OUTER BANKS -- A big shark was caught on the Outer Banks, and an ABC11 Eyewitness sent in photos of the thrilling capture. Dan Hare took the photos on Wednesday evening. 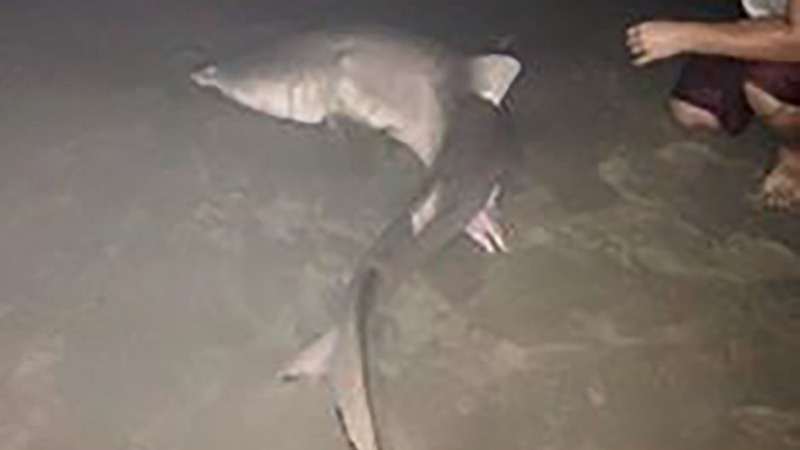 His family was on the beach in Corolla when they saw some teenagers catch the seven-and-a-half foot long sand tiger shark. The teens released the shark immediately. These types of sharks have lots of teeth, but generally are not aggressive.